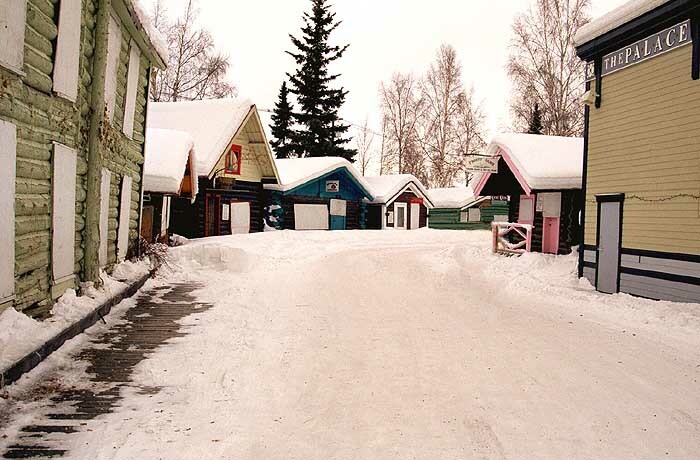 A frontier theme park with picnic area, shopping village, barbecue court and community center on the Chena River. Pioneer Park (formerly called 'Alaskaland') has it all. It just needs a little paint here and there. One can ride a train around the 44-acre park and play minature golf. Look at Rusty Heurlin's paintings in 'The Big Stampede' moving theatre. Browse through 'Gold Rush Town', 'Native Village' and 'Mining Valley'. Dance in the 'Farthest North Square and Round Dance Center'. Get stuffed at the salmon bake. 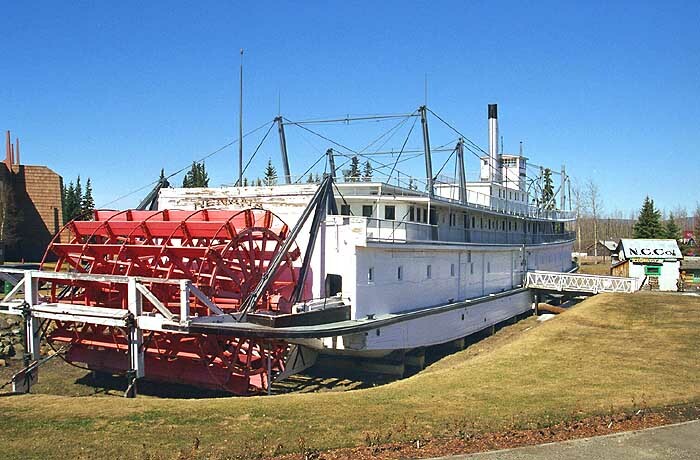 Visit the sternwheeler riverboat 'Nenana' and president Warren G. Harding's railroad car 'Denali'. There's the Pioneer Hall Museum, the Native Village Museum and -in a gold dome designed by Buckminster Fuller- the Pioneer Air Museum. Last but not least there's the enjoyable Palace Theatre and Saloon featuring 'The Golden Heart Review'. The 237-foot S.S. Nenana, 'the last lady of the river', is the largest sternwheeler ever built west of the Mississippi. Today the retired dry locked vessel serves as Pioneer Park's centerpiece. It is a National Historic Landmark. The cargo hold houses an interesting but rather misplaced 340-foot diorama of life along the Tanana and Yukon rivers in the early 1900s. Pioneer Park's 'Gold Rush Town' features a 1904 presbyterian church, pioneer log cabins (now occupied by souvenir merchants) and other more or less original buildings, like the Judge Wickersham house (a small museum devoted to the life and times of Judge Wickersham), the Georgia Lee house and the Kitty Hensley house. Open from Memorial Day through Labor Day. 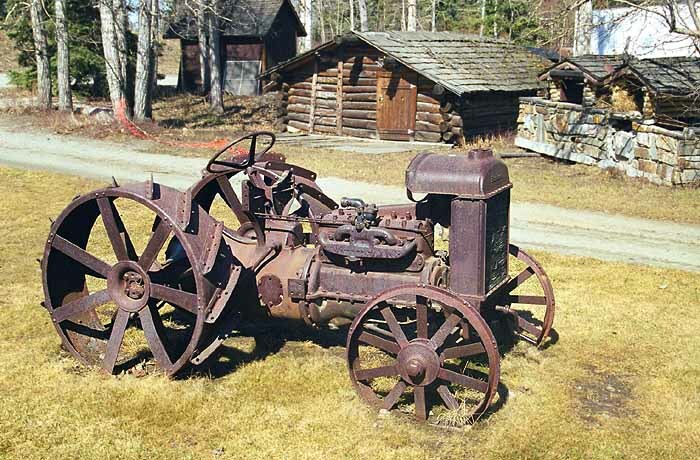 The display of rusty equipment in the replica 'Mining Valley' needs work. There's also a pond with sluice boxes. The neighboring open pit 'Alaska Salmon bake' is in better shape. 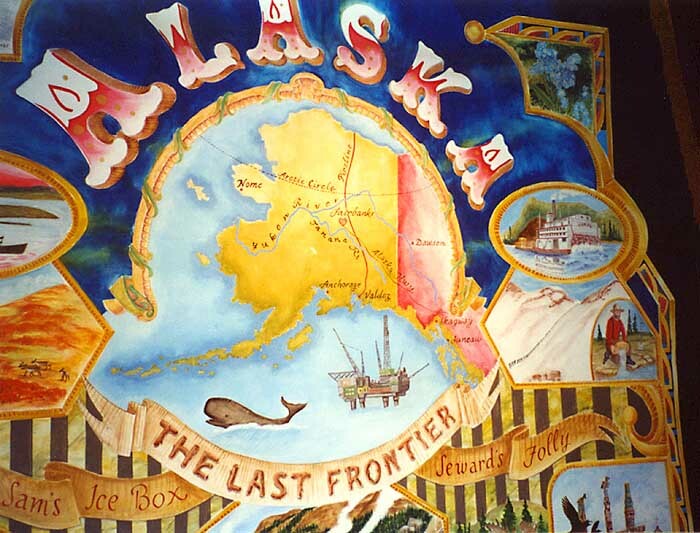 Pioneer Park was created in 1967 als the 'Alaska Centennial Park' to commemorate the 100th anniversary of Alaska's puchase from Russia, and to provide a taste of interior Alaska history. The park is open year-round. It has no admission fee. The shops and attractions and most buildings are closed in winter. It is located at Airport Way and Peger Road.